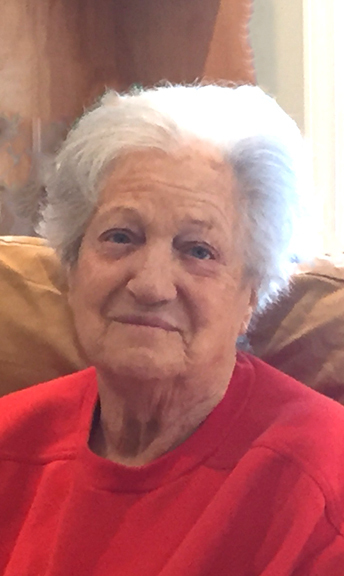 Kathleen (Driggers) Clayton passed away peacefully on Friday, November 23 at the age of 84 in the loving care of her family at home in Kirtland Hills, Ohio. She was born July 23, 1934 in Hebron, South Carolina, the daughter of John Allen Driggers and Della (Strickland) Driggers. She married Fay Arthur Clayton on December 22, 1955 and was later sealed to him and her children in the Jordan River Temple on August 23, 2008. Together they spent the first 20 years of their marriage traveling with the military both in the U.S. and overseas building friendships in every community as they immersed themselves in the local cultures. Kathy excelled in the workplace from the time she was a teenager helping to support her family. She became a full-time homemaker when her second child Dale was born redirecting her energies into every aspect of raising and caring for her family. In 1973, her husband Art retired from the military and they made their home in West Valley City, Utah for the next 43 years enjoying life as their children married and they became grandparents. Grandma Kathy as she became known to her grandchildren and their friends cherished the years she was able to help care for them on a daily basis helping to mold them into the people they are today. She often talked of how much she enjoyed being a scout leader to the young boys she taught in one of the many callings she served in as a member of the Church of Jesus Christ of Latter-day Saints. She also loved the time she spent serving in the Jordan River Temple as an ordinance worker. In the years after her husband passed away (2010) she made it her priority to visit and keep her neighbors company continuing her natural inclination to be a caretaker. She will be greatly missed by those who knew and loved her. Kathy is survived by her two children, Pamela (Clayton) Wallis and husband Steve of Salt Lake City, UT, Dale Clayton and wife Tammy (Goble) of Kirtland Hills, Ohio; five grandchildren, Daniel Wallis and wife Ann, David Wallis, Rebecca (Wallis) Ketchum and husband Jeremy, Jessika Clayton and husband Brandon, Lindsey (Clayton) McCully and husband David; ten great-grandchildren, Alexandria Wallis, Harbor Ketchum, Laurine Wood, Hunter Clayton, Tannon Ketchum, Jason Ratcliffe, Crystal Skye Clayton, Colton Ratcliffe, Soren Ketchum and Lucy Wallis; her sister Marguerite Smith of Laurinburg, NC. She was preceded in death by her husband, Fay Arthur Clayton, granddaughter Rachael (Wallis) Patton and her parents, John Allen Driggers and Della (Strickland) Driggers. The family would like to extend their heartfelt thanks to Alla Sarukhanyan of Care Your Way along with Nicole, Selena, Angie, Jade, Jamie, Shirley and Caitlyn who filled her last days with love, dignity and friendship. They will all have a special place in Kathy’s and our hearts forever. The family would also like to recognize Kathy’s longtime friends and neighbors Dawn and Rob Butcher and their family along with Bishop Reed Hammond and members of the West Point Utah Ward who cared for her as the Savior would have. Graveside services will be held at noon at the Montpelier Cemetery on Saturday, December 1, 2018. A visitation will be held that morning at Matthews Mortuary, 702 Clay Street, Montpelier, Idaho, from 11 a.m. until departure to the Montpelier Cemetery.